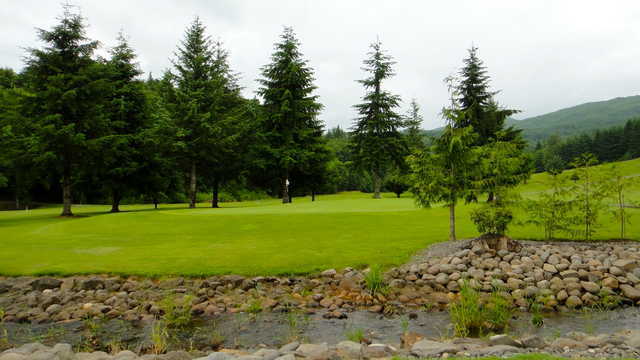 Wildwood Golf Course is located about 20 minutes outside of Portland just off of HWY 30. 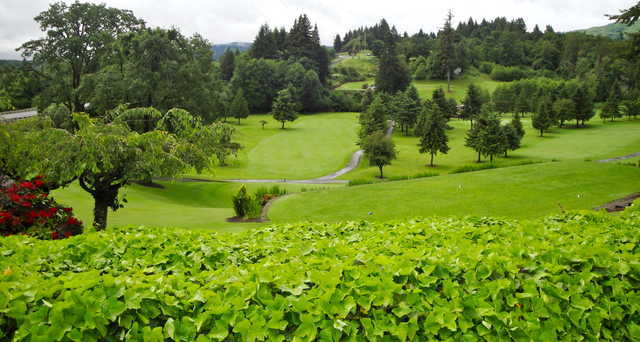 Nestled in a quiet valley and among towering fir trees, this 5,675 yard, 18-hole course provides plenty of challenge for all golfers. Several holes roll up and down the early reaches of the valley walls while the rest meander along the valley floor. 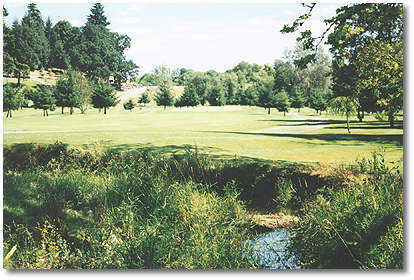 Three creeks either run along or cut across several of the fairways and water comes into play on almost every hole. 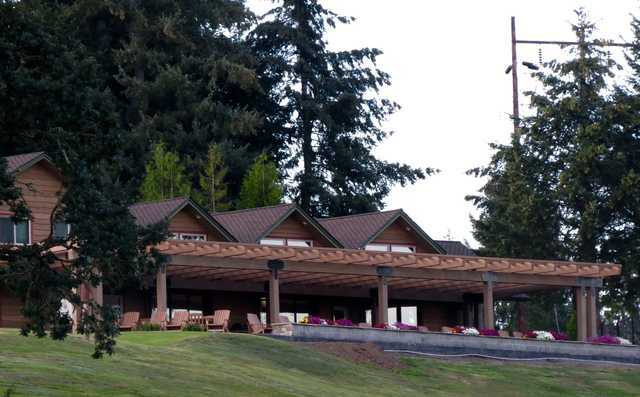 The clubhouse overlooks the front nine and provides everything needed for a satisfying round. Whether it's golf equipment, lunch, snacks or refreshments, Wildwoods friendly staff is there to help. Take a few hours off this week and treat yourself to a round of golf at this unique course. I love this course! 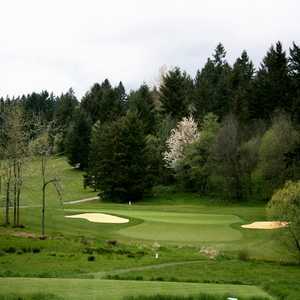 It is one of my favorite all-time courses that I must play whenever I am in the Portland area. I used to live in Portland (06-08) and me and my buddies would play almost every weekend. I come back once or twice a year and still love playing this course! Recently they have made improvements to the pro shop and restaurant which looks really nice! The course provides a challenging, fun round with spectacular views! Great course, not long but very challenging. Fast green's. Great views and extremely nice people running the course. Busy but we finished in less than 4 hours. Great pace. nice course however it is hilly and they have gas golf carts only that spew toxins everywhere. if u are walking and get teamed up with one of these carts u are gassed thru the entire round. i don't recommend this course for walkers. would be much better course if they had electric carts. I don't understand all the bad reviews for the marshals. I golf at Wildwood almost every weekend and I've never had an issue with a marshal. I've chatted with them all and they're nice and efficient in keeping the course moving. What are the names of the marshals you're dealing with? A couple year ago they had a not so nice marshal that was let go. I believe the staff has improved and is doing a good job! Everyone should give this course is a chance it's beautiful. well maintained, great prices, and fun! RUDE marshall...bring your boxing gloves! I travel to portland for many golf trips. was hoping to play Wildwood (my home course is Lake Wildwood in california.) after reading the reviews, iv'e decided to spend my money elsewhere. Sounds like the marshall is a P O S im guessing the owners worthless son who cant find a real job. Don't get me wrong with the one star rating... The course is nice. My issues are with the management. Both of the clubhouse and league play. Giving notice 1 day before for your tee time seems a little Ridicules. Anyone can punch in a few number/names and send it out the day after a round. But week after week we start late because we waited and waited for one or two players to show up "LATE" and tee off in front of us! Not to mention it's not a real league... You can get any sub at any time. It's run as a Joke in my opinion! We were going to ignore the reviews about poor customer service, and the pesky marshal, since we are pretty quick golfers. But giving out my credit card number to book a tee time??? and agree to an undefined cancellation policy???? WOW what gall! 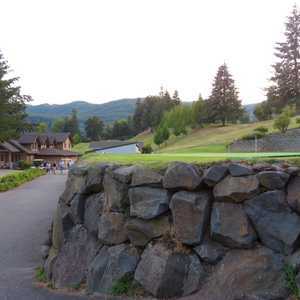 Guess we will stick to Camas Medows, a beautiful course, great people, excellent restaurant and service. Way too classy to ask for a credit card number to book a tee time. (and you can bring your own water). Wildwood must think they are the only game in town. Just in case you don't understand, WE ARE THE CUSTOMERS, not you. I will spend my money someplace that understands that! This is a very well taken care of course. It 's fees are very reasonable. Only two things could improve it. 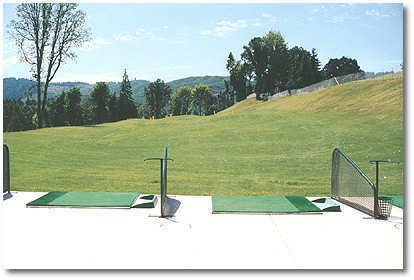 The driving range is irons only, and it is a very hilly course in places, giving you a real work out. I've always had good service, with people being very professional. I played this course on 9/7 & the green's were in great shape, fastest I have seen here. I play here about a dozen times a year, including a company tournament. For whatever reason they started everyone off on the back 9 including a 3 some walkers. This slowed everyone down behind them which seemed to be 2 somes with carts? After reading "former customer" I had to comment. In Febuary, cold and light rain I had to play golf. I brought my wife who was just going to walk along side and not play. I pulled up, three cars in the lot. Went to pay and they wouldn't let my wife walk for free! They said for liability reasons, if she got hit in the head by a golf ball. I said there's three cars in the lot and I'll sign a waiver. They said no. I turned and walked out. They said ok $5 she can walk and I said hell no you just lost yourself hundreds of dollars in green fees. We drove else where and I played and my wife walked for no charge. Terrible customer service. Course has been decent in the past, however, I was surprised that the Pro Shop person would not allow my wife to ride with me in the golf cart because she was not paying to play. I was going out as a single and was paying for the cart, but they forbade her from riding with me because she was not playing golf????? I used to play once a week, have not been back because i thought this was poor service. I would not have managed my business the same way. I must have spent $150 to $200 a month at this place before. I've played here a dozen times and the main Thing I remember is the beautiful rolling hills and that pesky Marshall... Ok, I understand the premise of having the game flow but it's another thing having someone breathing down people neck and messing them up. If you ever play here BEWARE of the Marshall... He's a douche.. I have played this course many of times & it was always in good condition. I'm not that great of golfer (plus 20 or so) but like the layout with a lot of room for some errors. I would recommend a cart as some of the holes are up & down. Never had any problems with the people working there & very polite Beer Ladies, when they are working. 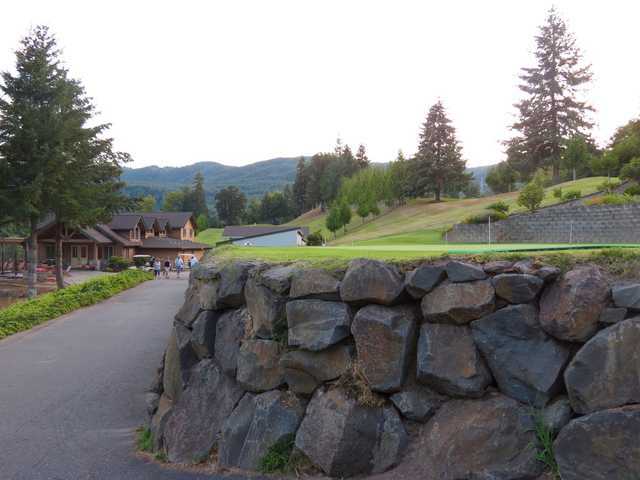 THIS COURSE IS ON THE GOLFERS RADAR AS A VERY NICE COURSE AND REASONABLY PRICED. WITH THE SCENERY AND COURSE LAYOUT IS ONE OF MY LOCAL FAVORITES. We were very excited to play Wildwood, but the Marshall spent his day rounding up on us like we were cattle. He even wouldn't let us finish the last hole because the ball went over the green down the hill. Crazy, we will never go back! And they don't let you bring your own bottle of water! quickly. He was a real pest. I have never suffered anything like it. I too was treated very disrespectfully by their young Marshall the last time I was there and it will be the last time I will play the course. My friends and I will go elsewhere for our weekly outings. No way to run a business. Too bad it is a nice course. This is a very well-maintained and pretty little track. I've played it several times and it is always in superb condition, and it is always fun to play. Alas, it's not very challenging or demanding. Just for fun, bring your 3-wood, four irons and your putter and have a blast. Great course to walk! 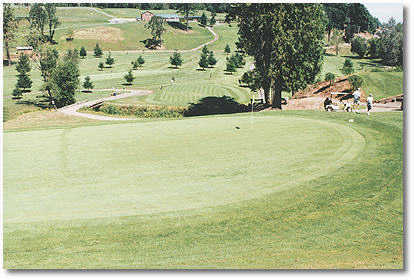 Wildwood has a very unique design, with lots of hills and elevated tees. 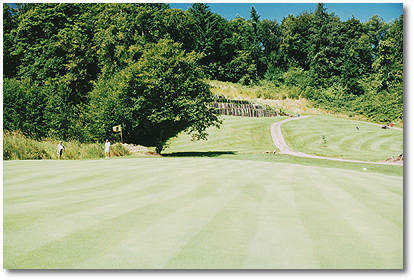 It is maintained well, with great greens that are all in good condition. 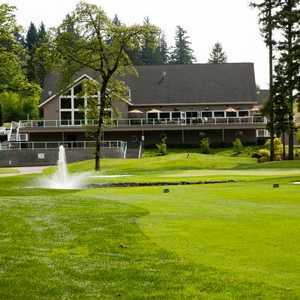 In my opinion, this is the best course around Portland for the money, on a weekend its about $35 for 18 and a cart, you can't beat that anywhere around Portland. Tom in the pro shop is a very nice guy. 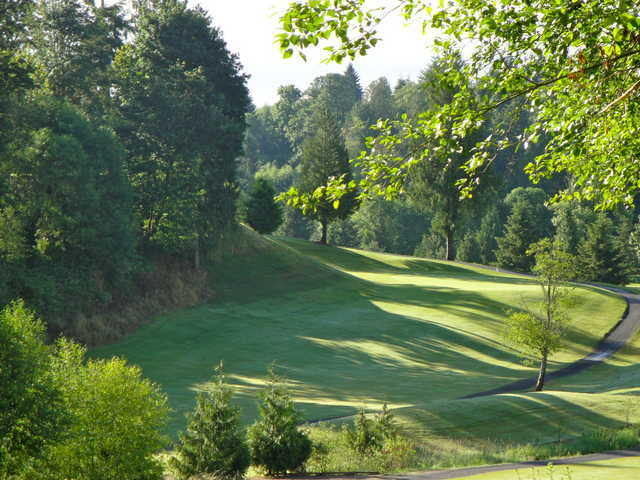 Wildwood is a great course for an avid or beginning golfer. I have played this course many times and have loved playing there. Today, I brought some friends to play the course. We teed off first this morning. We finished the front nine in about 2 hours 8 minutes (slightly behind by maybe 10 minutes or so) as some of my friends (we had a foursome) had never played the course. We made the turn and we were treated very rudely by their course marshall (very young kid named Tyson). He stated in a very rude tone: "2 hours 8 minutes is completely unacceptable) and was getting very aggressive with one of the people in our group. I complained to the Manager and we were asked to leave the course. We were all in complete disbelief. Three of us are middle aged men, very mellow people. We were being gentlemen as always. We will never go back to this course. 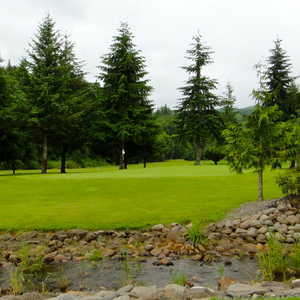 Feel free to play there if you like a course with plenty of challenges but we warned, the employees are extremely RUDE! This is a beautiful, relatively short course with many elevation changes and water challenges. I've played Wildwood regularly since 1991, and it just gets better and better. Kudos to the owner and his staff. Played Wildwood this weekend and the course was in excellent shape. The greens rolled really well and we were getting some roll on the fairways. I would recommend this course to anyone. 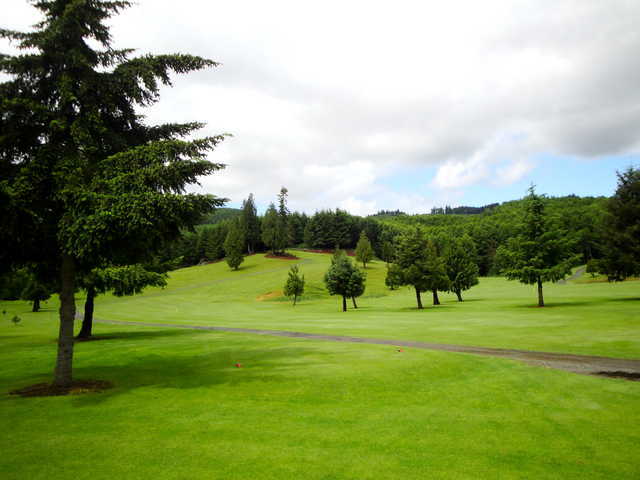 Rent a Golf cart!Lots of hills and trees,excellent well kept golf course.